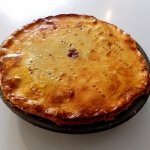 Greek Vasilopita bread is a classic New Year’s tradition in Greece. 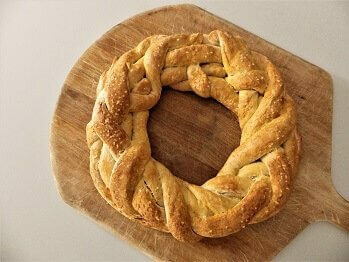 Curiously, even though it has the word “pita” in its name it looks nothing like pita bread. 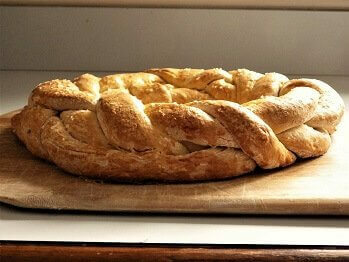 It actually resembles Jewish Challah bread in some respects given that it’s braided. 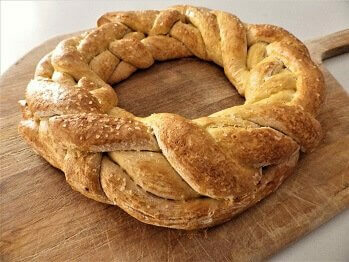 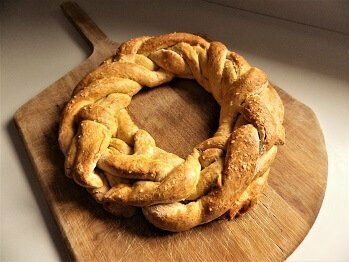 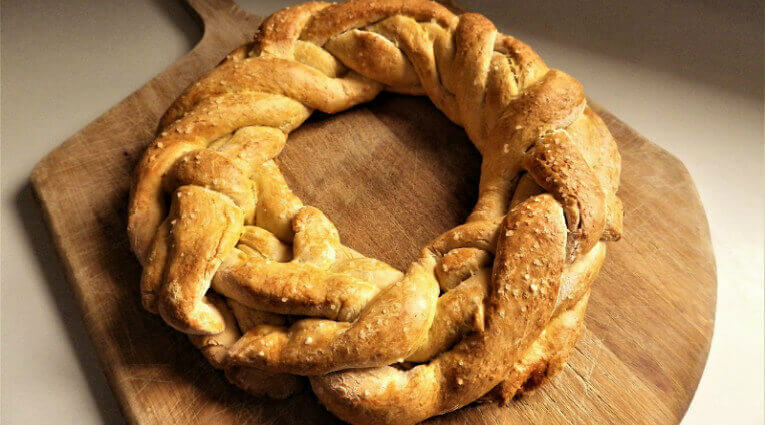 However, the final form is a wreath of braided bread. 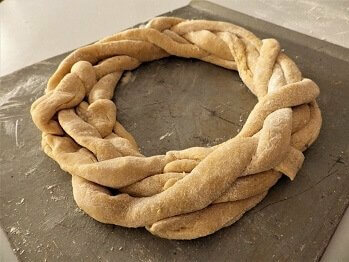 Sea salt often tops the loaf and its usually glazed with an egg wash of egg yolk and a little water. 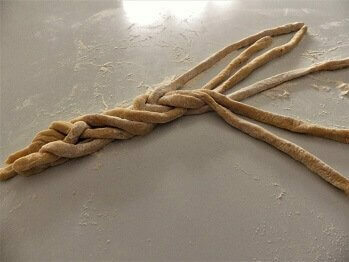 The large grains of sea salt represent good luck and wealth. 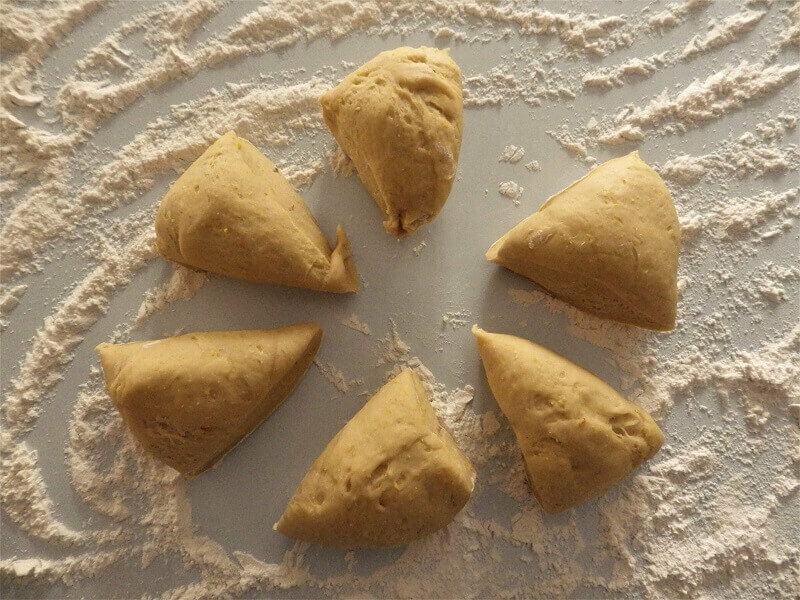 This recipe starts in the bread machine using the dough cycle and then is finished on the counter top and baked in the oven. 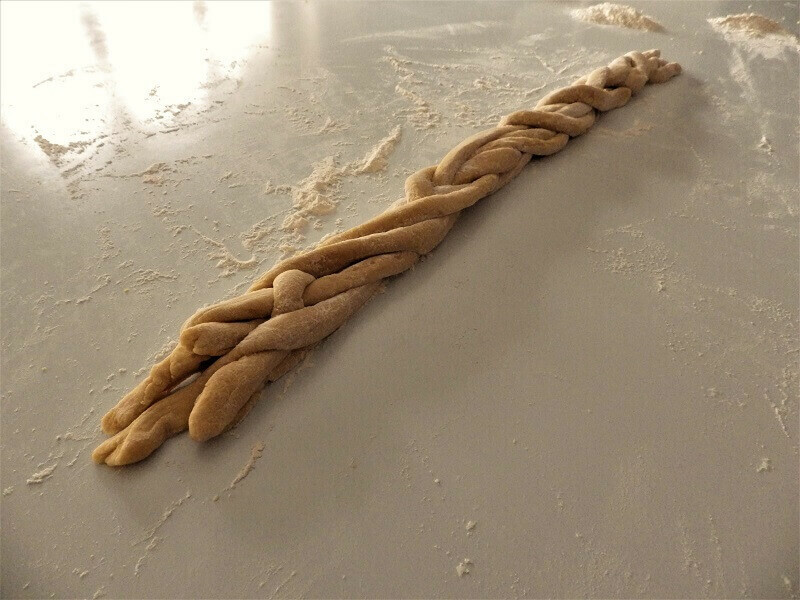 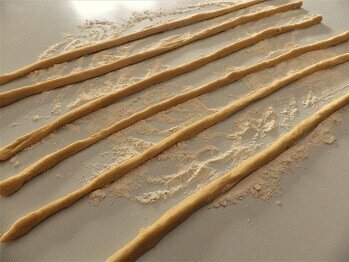 We’ll cover the key steps for making this bread especially the braiding component. 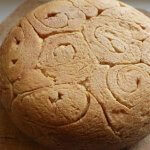 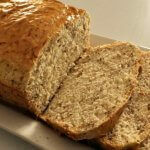 Even though this is a New Year’s bread it’s great for any special occasion or to simply make every day special. Add all ingredients to the bread pan in the order indicated and select the dough course. 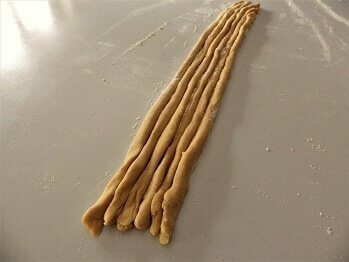 Cover with plastic wrap and allow to rise for 30 to 45 minutes. Preheat oven to 375° F./ 190° C.
After dough has risen, glaze with whisked egg and sprinkle with coarse sea salt. Bake for 20 to 30 minutes or until crust is golden brown. 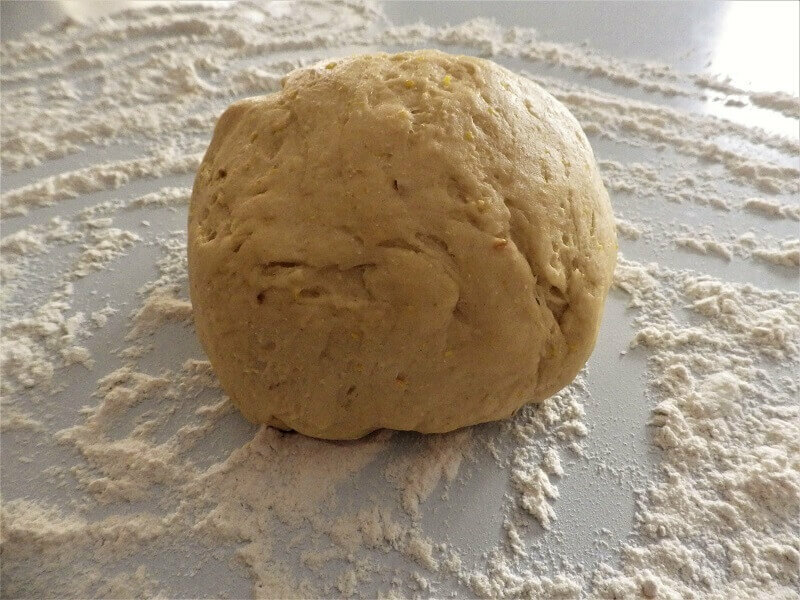 Remove and let rest for 10 minutes and then serve. You don’t slice this bread, you break it apart and eat the pieces by hand.